Nail biting is a mannerism that many individuals do when they are worried about something or too bored to do anything. You are basically putting bad bacteria in your mouth, because who knows what kinds of germs their hands have landed on throughout the day. When caught by a friend, the automatic response is that there is a rough spot that they are trying to even out. 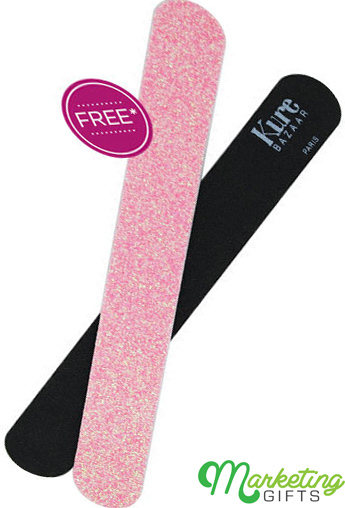 Well, if that is really the case, then you should obtain the Kure Bazaar nail file that serves as a promo gift at LoveLula. Strikingly High-Class. The gift with purchase seems like what the top celebrities will opt to use to file their nails. The glitters will not come off of the product as well. Suitable for Travels. It is fine to whip the nail tool out in public. Apart from making others think that you have a very girly taste, they will feel that you must be living a good life for being able to afford a branded nail file. Enduring. The advertising product is thick, and it does not have a part that cannot be used for filing. Therefore, it can smoothen the tips of your nails for years. Add charm to the way you promote your brand. Go to the Marketing Gifts blog for better marketing ideas.